This is the translation of an article that provides an analysis of the correlation of forces of the National Dialogue, just as this second Dialogue essentially ended. Both sides say they are taking a time to reflect. El País and El Faro, are starting an alliance to expand the coverage and conversation on Central America. Every two weeks, on Saturday, a journalist from EL FARO will contribute a perspective in El País through analysis about the region that is dealing with one of its most troubled periods. Some days ago, some creative person put on Twitter a photo of the Nicaraguan president Daniel Ortega in a brief public event. The man looks sick, with a washed out face, nearly rictus half smile, and his body bent. The tweeter accompanied the photo with a great caption: “El Coma-andante” [play on words in Spanish between Comandante and “the walking coma”]. 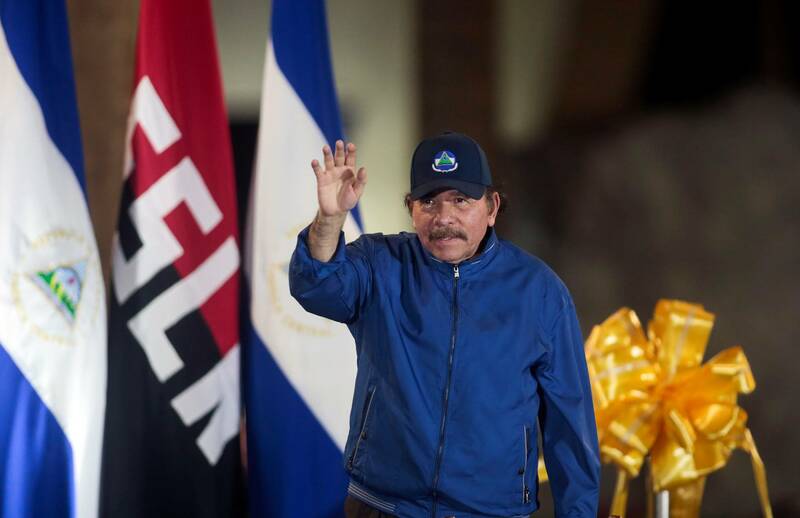 A second attempt at negotiations between the Orteguista Government and the so called Civic Alliance has failed in Nicaragua. Ortega refused to move up the elections and to investigate the crimes committed by his security forces. The other party decided to withdraw from the table. In reality they had no other option. The Civic Alliance is a false construct. Included in it are not just representatives of students and social and citizen organizations, the sectors that since the start of the protests, a year ago, have put up the fight, the dead, the political prisoners and have taken the streets. They are the exiles, those who have lost their jobs or their land, those who still suffer daily the harassment of the police and paramilitaries around their homes. But also on the same side of the table are seated the representatives of private enterprise groups who, in contrast to the former, have in their agenda an orderly solution, and above all, a peaceful way out of the crisis that would allow them to go back to a stable economy and their businesses. There is nothing bad in that (and I underline, in that), but obviously their interests and their conditions are of a different nature than those of the students and civil society organizations. Ortega is a fox in politics, as his decades of conspiring to exercise power show. He still retains, above all outside of Nicaragua, an aura of the revolutionary strongman that resisted Yankee imperialism in the decade of the eighties, when Ronald Reagan armed and financed a counterrevolutionary army to do away with Sandinism. The commandante seized the Sandinista flag and discourse. But in addition he controls the army, the bureaucratic apparatus, the police, the electoral tribunal, the the three branches of the State. Little is now left in his exercise of power of the revolution that inspired revolutionary movements of all of Latin America. Nothing further from the new man than this old man, based on a corrupt and repressive power, a neoliberal economic system assisted by Venezuela and an accomplice of voracious and corrupt big businessmen, who during the last decade dictated the economic policies and made themselves more wealthy in one of the poorest countries of the continent. A negotiation between an Alliance of this nature, and a Government centralized in an old fox, was already doomed to fail before it got started. Basic courses on negotiation teach the conditions for being seated at a table: know who needs an agreement more (that is, the power position) and arriving with a clear notion of what the ceiling is and the floor for achieving an agreement (the most one aspired to get and what one is willing to cede). The commandante already accepted freeing the political prisoners, more than 300 according to human rights organizations, and in addition promised to respect the right to protest. As a sign of good faith, he ordered the liberation of some prisoners who did not represent any cost to him. Among them there is no political leader capable of becoming a pennant of the opposition or of convoking the masses on their departure from prison. The prisoners were seen as bargaining chips for the regime. Ortega jailed them to later turn them into a concession. The streets are something else. They have been the principal challenge to his power, his territorial control. The demonstrators paralyzed the country and destabilized his government between April and June of last year. The economic losses were big. The streets made the opponents believe that they were carrying out their own unarmed revolution. Never was Ortega as weak as at that time, and as long as he can, he will prevent this from happening again. Last week, barely 24 hours after his commitment, gunmen shot at the first protest in Managua. But what are they negotiating? Ortega will not accept early elections, nor international arbiters, nor the investigation of the massacres that a commission of independent experts named by the OAS described as crimes against humanity. He will not do it until he has a reason to do so: in other words, as long as he finds other solutions that do not involve negotiating his surrender. He has no political opposition, dismantled thanks to the corruption of the liberals, the cooptation of the electoral body, the repression and the lack of new leaders. The true opposition is in the social forces: the peasant and student movements, today on their knees due to the repression, and almost all in hiding, murdered, jailed or in exile. Disorganized, weakened, disarmed and without the streets, their moral force is enough to seat Ortega down to negotiate, but not enough to make him give in. They do not have that much weight, and their ceiling and floor are the same: Ortega´s departure. In the purest pragmatic exercise, what happens if Ortega does not accept this condition? Why then would he have to accept it? The only member of the Alliance with real power is private enterprise. Ortega is negotiating with them. Affected by the economic crisis, the big businessmen asked for the negotiations. In contrast to a year ago, now with 400 dead and dozens of thousands in exile, they cannot go back to the golden days prior to April 18, 2018, the model that they had so much trusted: the political and social situation in the hands of the commandante, but the economy the businessmen would decide. For a decade they had walked together in this way. Businessmen who have never been democratic today are seated at the negotiation table with a democratic discourse. They want tranquility and order for their businesses, with Ortega or without him. With democracy or without it. They know that the project is no longer sustainable, but they are not willing to push to the conclusion. They have delayed it for an entire year: they invent pretexts to not hold a general strike, they feed negotiation tables, they play with God and with the devil. Politically they are hoping for some alternative to Ortega. But they still do not see one. The advantage to their position is in the economy: Ortega, without the Venezuelan support and with the losses from the crisis, is being left without funds. This, and international condemnation, are today the biggest fractures of the regime. The students and civil society organization are in the worst of conditions: they do not have any more position of power than their credibility, their massive mobilization with the risks that it implies, and their proven disposition to take on the necessary consequences. Their paradoxical drama is that they cannot make this transition with the business owners, but nor can they do so without them. They know that the new Nicaragua will not happen without the end of the repression, the departure of Ortega and calling free and early elections. But Daniel Ortega has other plans. I go back to the photo of “El Coma-andante” [walking coma]: the second thing I noticed is that, around Ortega, two bodyguards dressed in civilian clothes are observing. Faces alert. On their heads they are wearing a red hat with the following phrase: DANIEL 2021. Others, maybe Ortega thinks, are in worse shape. Previous PostDrinking coffee as an act for peaceNext PostBut What About Yareli?